Do I have to be a full-time Tahoe Donner resident to vote in the Election? No. Individuals owning property in Tahoe Donner are entitled to one vote per parcel owned, e.g., a single family residence or an unimproved lot. 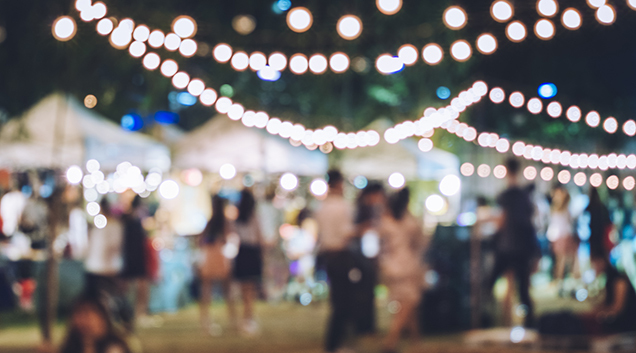 It is a requirement that you be a ‘member in good standing’ as of the record date of the election (set by the board - generally early May), meaning you are current on all fees. Do I have to be a registered voter in the Town of Truckee to vote in the TD election? No. Your primary residence for general voter registration does not have to be your Tahoe Donner address in order to vote in the Association election. What address is used for mailing ballots? Ballots are mailed to the address on file in the Accounting Office. This is the same address used for mailing annual assessment notices. Contact Member Services at (530) 587-9400 ext. 0. or the Accounting Office if your permanent mailing address has changed. Ballots are mandated to be mailed at least 30 days in advance of the Annual Membership Meeting which occurs this year on June 24. Election packets will be mailed this year by May 24. Election updates, including notice of the ballots being mailed, are published in the weekly e-mail blasts as well as in the monthly Tahoe Donner News magazines. The best way to stay informed of all important dates related to the election is to subscribe to the weekly e-mail blast which is sent every Tuesday. 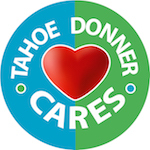 If you are not currently subscribed contact Member Services, Telephone Number (530) 587-9400 extension 0, or sign up online at http://www.tahoedonner.com/subscribe. Mail: The easiest way to return your ballot is to use the pre-paid return mail envelope included in the voting packet. It is addressed to the accounting firm Tahoe Donner uses to tabulate the votes. There are strict requirements related to enclosing the actual ballot in a ballot envelope which is then placed in the return envelope. The outside of the envelope must be signed by the property owner in order to count. Ballots mailed to the accounting firm must be received by June 22, 2018. In-person: Ballots can also be returned in person to the Inspector of Election at the open board meeting that takes place on Friday, June 22 between 9AM-5PM. Final chance to submit a ballot in person is from 10AM-11:30AM during the annual meeting on June 24. In order to vote in person a photo ID is required. PLEASE NOTE - THERE IS NOT A DROP-OFF BOX IN MEMBER SERVICES. MEMBER SERVICES STAFF CANNOT ACCEPT HAND DELIVERED BALLOTS. THEY MUST BE HANDED TO THE INSPECTOR OF ELECTIONS OR DESIGNEE WITH PHOTO ID AT TIMES SPECIFIED ABOVE. Contact the Administration Office at (530) 587-9431 Monday - Friday, 8AM-5PM, or contact the Elections Committee at electionscommitte@tahoedonner.com. Once name, property ownership and photo ID are confirmed, a new ballot will be issued. I own more than one property. As such, I have received more than one ballot. Can I return all the ballots in the same envelope to save postage costs? No. To be counted, each individual ballot must be returned in the envelope that includes the unit and lot number pre-printed on the outside. If more than one ballot is returned in the envelope it is impossible to know if the voter is entitled to more than one ballot based on property ownership, or if the ballot was obtained in another way. If more than one ballot is received in an official envelope, only 1 ballot is counted. A written candidate’s statement is solicited from each candidate as soon as they are deemed eligible to run for the board. These statements are posted online and included in the election materials sent to all members. Candidates are encouraged to include an e-mail address on the statement so members can contact them directly with questions or concerns. New this year, all candidates are invited to record a short introductory video produced by Tahoe Donner to be included on the website. One formal “Candidate’s Night” forum is held early in the election cycle to allow the membership to ask questions of the candidates directly. This forum is live-streamed as well as recorded for posting on the website. New this year, two Candidate ‘Meet and Greets’ are scheduled during the campaign period. Candidates are provided meeting space at specific times to meet interested members and respond to questions in a less formal setting. Questions for candidates can also be submitted to electionscommittee@tahoedonner.com. The committee will forward the questions to all candidates for a response. If you don't see your question answered here, please submit it to electionscommittee@tahoedonner.com.